From the best-selling author of Gratitude, On the Move, and Musicophilia, a collection of essays that displays Oliver Sacks's passionate engagement with the most compelling and seminal ideas of human endeavor: evolution, creativity, memory, time, consciousness, and experience. Oliver Sacks, a scientist and a storyteller, is beloved by readers for the extraordinary neurological case histories (Awakenings, An Anthropologist on Mars) in which he introduced and explored many now familiar disorders--autism, Tourette's syndrome, face blindness, savant syndrome. He was also a memoirist who wrote with honesty and humor about the remarkable and strange encounters and experiences that shaped him (Uncle Tungsten, On the Move, Gratitude). Sacks, an Oxford-educated polymath, had a deep familiarity not only with literature and medicine but with botany, animal anatomy, chemistry, the history of science, philosophy, and psychology. The River of Consciousness is one of two books Sacks was working on up to his death, and it reveals his ability to make unexpected connections, his sheer joy in knowledge, and his unceasing, timeless project to understand what makes us human. Oliver Sacks, a scientist and a storyteller, is beloved by readers for the extraordinary neurological case histories (Awakenings, An Anthropologist on Mars) in which he introduced and explored many now familiar disorders--autism, Tourette's syndrome, face blindness, savant syndrome. He was also a memoirist who wrote with honesty and humor about the remarkable and strange encounters and experiences that shaped him (Uncle Tungsten, On the Move, Gratitude). Sacks, an Oxford-educated polymath, had a deep familiarity not only with literature and medicine but with botany, animal anatomy, chemistry, the history of science, philosophy, and psychology. 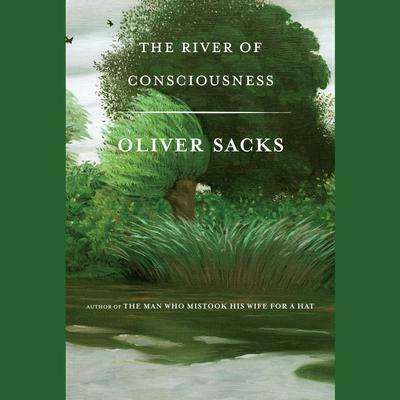 The River of Consciousness is one of two books Sacks was working on up to his death, and it reveals his ability to make unexpected connections, his sheer joy in knowledge, and his unceasing, timeless project to understand what makes us human.